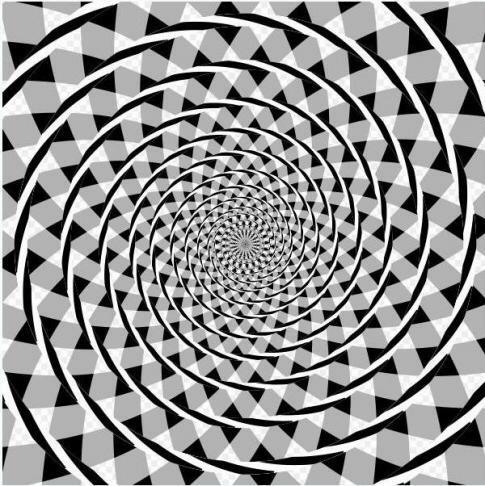 Developed by psychologist James Fraser in 1908, the Fraser Illusion appears to be a spiral pattern converging in the distant center with a black, white and grey chequered background. 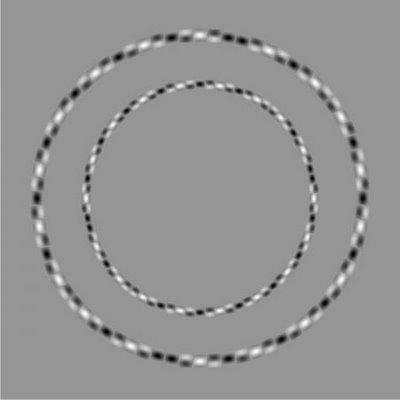 In reality the spirals are not really spirals at all but a series of concentric circles, the background gives the illusion that the circles are spiralled. 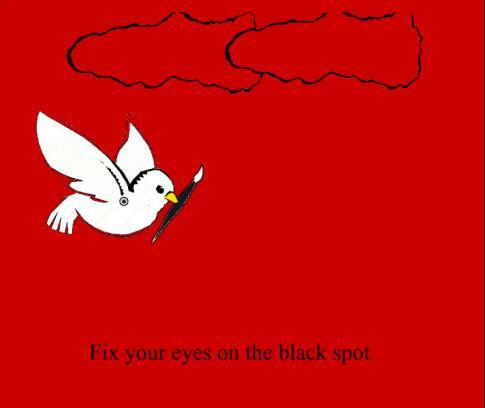 In this illusion try staring at the dot at the center of the dove. When you move your eyes away you should see the afterimage of a red dove on a white background.